These two weeks had been a hard week without my boss hz. There is a 20 days tender to be done which is to be submitted on 22-Apr-09. After working for few year, I felt that dunno is always more fortunate than knowing. The more I know, the higher expectation I have of myself to know more. Anyway, the print screen above shows my current craze at facebook. 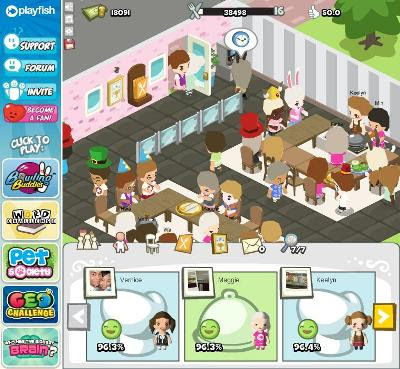 It's restaurant city from playfish. Quite addictive at the moment, yet always frustractted that I couldn't get the ingredients that I wanted. Should be able to keep me occupied after office hours at home.